Due in no small part to my current day job taking more time than the last one did, my posting schedule has gone from daily to erratic. I find myself back-logged on articles that need to be written for reviews that have already been finished. Looking at my schedule, I ask myself do I want to cut writing, playing, or family time? As playing time and family time are usually the same (RPG is a family experience in the V.S. household). Writing time is the one that gets cut first. Since I am cutting into writing time, I had to take stock of what is it that I really want to write. I didn’t want to give up my RPG/fan fic www.ksfcommand.com and I didn’t want to give up the family movie reviews. What has fallen by the wayside has been the GitUo articles. What I’m looking for is an RPG blogger who’d like to take on the GitUo articles for the movies has reviewed by the V.S. household. I’ll write the review and you would write the GitUo article. If you have your own blog we would post reciprocal links in the articles. If you do not currently have your own blog I will happily post the articles here. Contact me through replies, e-mail or Facebook if interested. The Night at the Museum movies are set in our modern world. There aren’t any superpowered beings. Larry, the night watchman, is a normal guy who happens, according to his son, have the coolest job in the world. The whole kernel of inspiration in both movies is an extended dungeon crawl. The one unique thing from this film series is the tablet of Ahkmenrah. The tablet of Ahkmenrah, however, is a pretty powerful artifact. Based on the events of the movies, the table brings to life mummified remains, skeletal remains, stuffed remains, sculpted representations of living organisms, paintings and sculptures. The tablet also turns photographs into portals to the period being photographed. Properly used it can open other portals as well. Having statues come to life is nothing new to D&D. This concept has been used by more than one DM, I’m sure. However you could send your PCs out on a quest to recover the tablet. Some evil wizard may want it for his own nefarious purposes. Or a Lawful/Good wizard may want to safeguard this powerful artifact. Whatever you as a DM decide, make SURE that the PCs enter the dungeon housing the artifact after the sun goes down. After sundown the Tablet of Ahkmenrah is capable of bring to life the remains of any living creature. Skeletons will become animated. Stuffed and mummified remains will regain their full undecomposed bodies. Manufactured, carved, or constructed representations of life, will be given a sentient personality. All creatures/humanoids revert to their “unliving” state when the sun rises. The life cycle is similar to our wake/sleep cycle, for all intents and purposes, daylight is when they sleep. Constructed representations of specific entities retain the knowledge of the entity they represent as well as the knowledge of what they actually are. It is unknown whether a representation of a superhero or a monster would have the abilities as the original. Artistic representations become animated and interactive. Photographs (if they exist in your setting) become portals to the era/place/time being photographed. Residents of the photographed period are not aware of the portal but can and will interact with the PCs once they have entered. It is unknown what happens to the PCs if they do not return through the portal before sun-up. This month’s topic of Steampunk & Klockwerks is being hosted by Mad Brew Labs. I’m currently running Reality Blur’s Rune Punk as a Stargate Scenario for my Friday night game group. This is a quintessential Steampunk setting that goes into quite a bit of detail. We’re enjoying it, but I will admit that Steampunk is not my first choice when it comes to gaming scenarios. I prefer High Fantasy (D&D) or SF (Star Trek, Stargate). However this month’s topic got me thinking what it is about Steampunk that appeals to so many folks. I’ve actually seen and enjoyed a few of these films. Maybe I’m not as much of Steampunk noob as I thought. As I pondered this list I though of something I like to add to this list, the 1968 film Chitty Chitty Bang Bang. Although Chitty is not strictly speaking a steampunk setting, Caractacus Potts is clearly a steampunk inventor. I have seen four of those films Wild Wild West, League of Extraordinary Gentleman, Atlantis, and Van Helsing (five including Chitty) and have enjoyed each of them. Wild Wild West could easily be played using the Savage Worlds Deadlands. 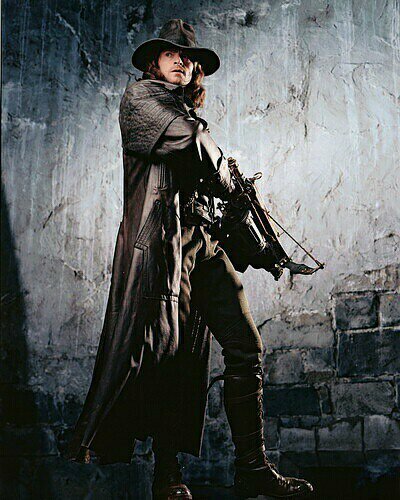 Van Helsing can be dropped into a D&D campaign with no difficulty. The League of Extraordinary Gentlemen is begging to be run as a Mutants and Masterminds game. Carracticus Potts can be dropped as is into your steampunk setting. Admittedly, the search for Atlantis is something I’d probably run as a campaign instead of a setting. What it is it about steampunk that appeals to some folks but not to others? Few of the films on that list (except Chitty) was ever considered a hit. In fact Wild Wild West, League of Extraordinary Gentlemen, and Van Helsing were all planned as a series of movies but the poor box office showing of the originals scuttled planned sequels. I have discovered that as a general rule my fellow bloggers really enjoy these films in this genre (Wild Wild West being an exception). Why as a general rule are RPGers able to suspend their disbelief more for this Victorian Sci-Fi as opposed to the mainstream audience that cannot? It cannot be the sci-fi angle as there have been many true science fiction hits. My belief is that we as RPGers are able to disassociate alternate realities. We are constantly playing in altered or alternate universes. We as a group aren’t “tied” to history, the general audience cannot let go their perceptions from “what happened” to enjoy what is being depicted on screen or in your game. Because RPGers are constantly placing themselves (and characters) in alternate realities, we have no problem imagining a world where Jules Verne actually invented the things he wrote about. We can wax eloquent on how current technology could have been built using clockwork gears and steam power. This, I believe is why Steampunk is more of hit amongst RPGers than it is amongst the general public. As such I present the following Savage Worlds Wild Card NPC. Uncle Bear offered some very nice world-building tips and thoughts on how he’d run a game set in Roddenberry’s universe. These were helpful and I appreciate his efforts on my behalf. However it would be illogical for me to not offer my own thoughts on gaming in my favorite universe. Star Trek has had a long history of association with RPGs. FASA published quite a number of books in the 1980s. From 2002 – 2007 Decipher picked up the license to produce the RPG. This was produced after their successful run of the Star Trek CCG. I found more Pbem Trek RPGS than I’d care to list. 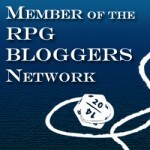 I also found Groknard’s Blog, which is very useful compilation of Star Trek blogs and associated RPG materials. My own personal favorite Trek related RPG is the Starships of the Third Fleet creative writing club. I have been playing Lt. Stev off and on for the better part of two decades. 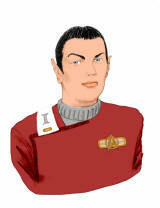 Through Stev’s eyes, I’ve infiltrated the Romulan Empire to rescue Federation operatives. I’ve traveled through time to Earth’s past. I have encountered evil doppelgangers of Stev and his fellow crew mates. Stev and I have had a lot of adventures and that is one of the nice things about the Star Trek universe. It is fully realized and ready for you to play in. With over 40 years of world building development it is one of the better sandbox settings that has ever been developed. Star Trek has a long history using other genres in the stories told; westerns (Fistful of Datas), gothic horror (Catspaw), war (Most of the later season of DS9), time travel (at least one from each series), gangsters (A Piece of the Action) and many more genres that have been adapted. 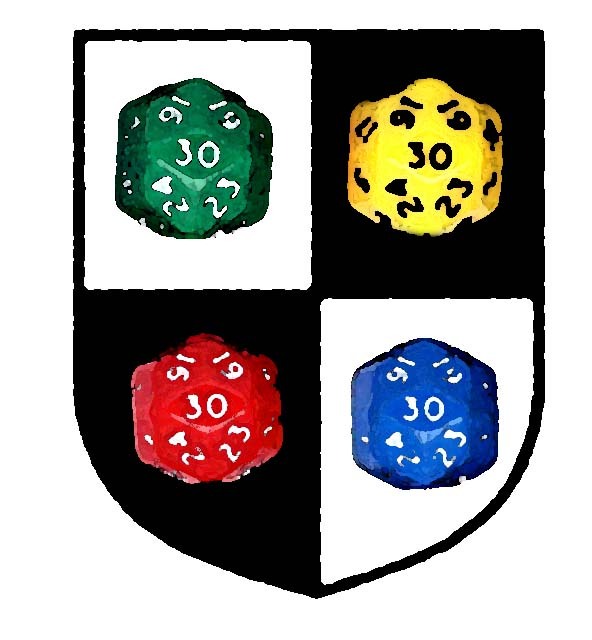 If I factor in the stories (games) I’ve participated in Third Fleet, you can add High Fantasy, Murder Mystery, and Prison Break to that list. Star Trek is rife for just about any kind of game that you want to run. How would I run a Star Trek game? One shot scenarios would be run off a starship. I’d plan a nice dungeon crawl, using the meta-dungeon of the entire planet’s surface. I’d run it with the Captain of the ship being played by the DM. The first officer would be the party leader and the players would be members of the away team. Something would interfere with the ability to just beam the PCs off the surface until they finished the dungeon crawl/mission. For an ongoing campaign, I’d run either a Voyager based game or DS9 styled game. Just about any adventure module published for any other game could be adapted. TOS: Orcs=Klingons, Demons=Romulans, TNG: Orcs=Cardassians, Demons=Borg just for thumbnail conversions. The ONLY problem I’ve ever had in wanting to run a Star trek game was in convincing players that they’d want to play in Star Trek game. PIT #1 has been the only one of my players that ever wanted to play Star Trek. That said should I ever get the chance to run a Star Trek game, I’d take my friend Nuke Havoc’s suggestion and use the Savage World’s Pirates of the Spanish Main setting for the rule set. Intrigued? he’s writing a guest post about how to do just that. I’m getting ready to use his idea. Stats for Kirk, Spock and certain Vulcan Lieutenant. I’ve done some searching across the web for Tron RPGs. I’ve found one abandoned forum and an abandoned PBP RPG site. Given that it is a Disney movie and an old one at that I wasn’t expecting much. I do remember playing the coin-op video game back in the early 80’s and have watched my children avidly play the Kingdom Hearts 2 for the PS2. Although geared very well towards video games, Tron is not a universe that immediately conjures RPG scenarios. That said I”ve come up with some themes and inspirations for your game. Tron is at its heart a Messiah story, the story of a god coming down amongst its creation. Unlike the accounts recorded in the Gospels, Tron is the story of a reluctant god who does not understand the rules governing the rules of its creation. This could be gamed from either side of the coin. You as the GM could introduce a new NPC to the party. This NPC demonstrates some unusual powers while at the same time displaying an unusual amount of lack of common knowledge. This NPC is there to help the party for some unknown reason but does not know why. It’s up to the party to figure things out. The flip-side of that coin is to have the PCs transported to a realm where they understand very little of the social mores and customs. They quickly discover they have abilities far beyond those of everyone else. They’re there to help their new friends but have to discover the reasons for themselves. Why have they been transported? Who transported them? All things to play out in this type of campaign. Another plot hook that can be drawn from Tron, the party is participating in an increasingly difficult series of challenges or games. These games eventually end with party finally facing the local champion. This is a guest column written by Uncle Bear. Most of the worlds in the Star Trek universe are monocultures — one race, one religion and one government per planet. That’s good for episodic storytelling, but that’s a whole lot of planets to keep track of. The good news is that almost all planets in Star Trek are M-class worlds with Earth-normal gravity and an atmosphere nearly all races can breathe comfortably. The bad news is that these worlds seem to have monoclimates as well — the whole planet is a desert, or a frozen waste, or a jungle. If you want to stay true to Trek, you can follow this formula. What is different, in terms of physical appearance, about the race? Pointy ears? Green skin? Antennae? Bumps on the face? Try to keep it down to 2-3 things. Does this race have any special powers, or excel in any particular skill? What do they worship, or what philosophy do they adhere to, if any? this will shape their values and ethics and serve as shorthand for what they value most. Combat prowess? Logic? Profit? Are they governed by a democracy? A council of elders? The fiercest warlord? This will shape their relationship with the Federation. This will have an effect on everything from the race’s clothing to their customs to the food they eat. Think about hostile flora and fauna when considering the climate. Monsters make for fun adventures. Any given society will have a level of technology, from primitive stone knives and bear skins to phasers and starships. a primitive world full of dilithium and no idea what to use it for… how would you trade for it without breaking the rules?) or petitioning for membership. there are plot hooks to be had regarding their relationship with Starfleet. The planet may be allied with or occupied by another power, such as the Klingons or Romulans. This will obviously lead to conflicts. Maybe the other empires just want the planet’s resources or technology. Look for story hooks in those relationships. If you want to use the “patrol route” format that I suggested in a previous post, you can keep the number of planets limited but add one culture per continent. Maybe it’s the same race, maybe it’s a different race, but one continent can be icy and cold with Islam-like worshippers and a monarchy, while another continent can be a vast forest with a culture similar to ancient Japan rules by a council of the current bestselling authors. When you put multiple cultures on a planet, you end up with conflicts, and reasons for the Federation to step in. But don’t forget the Prime Directive! A major part of Star Trek is ship-to-ship combat. 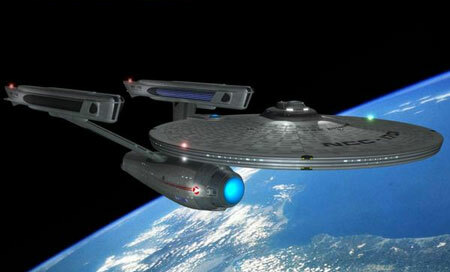 For undertaking a peaceful mission the Enterprise (any incarnation) got into an awful lot of fights. In a roleplaying game, grinding the action to a halt for ship-to-ship combat can be a drag. Here’s how I’d do it, to keep things moving. Treat each ship like a character. You need movement rate, the amount of damage the weapons do, and the amount of damage it can take. Give it a Piloting skill (computer navigation. auto pilot), a Ranged combat skill (target phasers and photon torpedos), a Perception skill (sensors) and some sort of Repair skill (to represent the engineering team). Divide “armor” into 4 sections: fore shields, aft shields, port side shields, starboard side shields. player tracks damage (“Forward shields are down!”) and rolls repairs, again using the better of their skill or the ship’s. Someone rolls Perception, theirs or the ship’s, to tell the Captain sensor readings. If there are additional players, they can track things for the enemy ship, with the gamemaster acting as the enemy Captain. (“Captain, she canna take another hit like that!”). Obviously, this would have to be adapted to the system you’re using. But it gives everyone something to do, and should play fairly quickly. So long as one nacelle is still functioning, the ship can warp away. If hit points reach zero, the ship is destroyed and explodes with a massive special effects budget. There have been a couple of official Star Trek roleplaying games over the years. I’m only familiar with the one from FASA, which I played quite a bit, but haven’t seen enough of the Decipher game to comment. 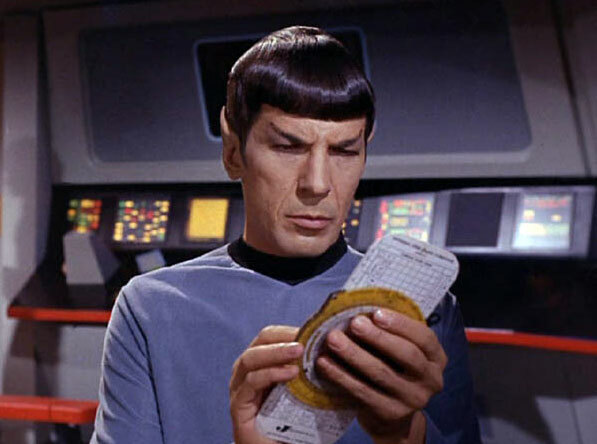 Regardless of the system used, if I ran a Star Trek campaign there’s a structure that I would use to insure a variety of adventures with a logical basis for the characters to be there. It never made sense to me that both the original series and the next generation had such large ships and crews when we only ever had a handful of characters. I’d go with a very small ship, with a small crew. Then you have fewer NPCs to deal with, and a reason for player characters to do more things because they have to fill multiple roles. To my thinking, there are only three roles that need to be filled: Pilot, Engineer, Doctor. Someone to fly the ship, someone to fix the ship, someone to heal the people. Any of these could be filled by NPCs, of course, but it’s more interesting for player characters to have these roles. Characters can really have any other skills the players want, as long as these three roles exist. I’d let players use existing races, or make up their own (most races in Trek are just humans with body paint and/or latex thingies on their heads anyway). As the gamemaster, I’d assign rank based on player experience, both in roleplaying and with Star Trek. The veteran gets to be Captain, the newbie gets to be an Ensign and work his way up. 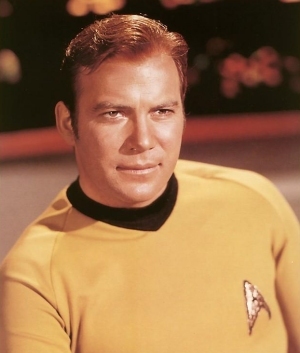 I’d let the Captain make field promotions, with approval from Starfleet Command (i.e. me, the GM). I’d have the ship based at a starbase or a planet. Then they’d have access to interesting NPCs, different types of adventures, a place to repair an resupply, and an NPC officer to get orders from. to create a finite number of planets and NPCs, which he or she can reuse, and it allows for plotlines that are non-episodic and can unfold over time. on the player characters’ race. If someone wants to be a xenobotanist, make sure to create adventures where that’s important. If someone plays a diplomat, make sure there are diplomatic missions. The characters the players create reflect the sorts of adventures they want to play, so use that as your springboard. The great part is that the above formula will work in any era. Just change the uniforms, ship designs, and aliens! The Mythbusters are a team that tackle modern myths of all sorts. They do what they can to either prove or disprove the myth. Everything from whether jumping off the floor of a crashing elevator will save your life to whether or not Archimedes actually could have built a death ray. They are the people your PCs need to go see for building an esoteric Rube Goldberg device. These are the crazy scientists operating in an abandoned warehouse in a Steampunk setting. Adam and Jamie are frustrated wizards trying desperately to make new magical items in your high fantasy setting. Sometimes they succeed and sometimes they fail.